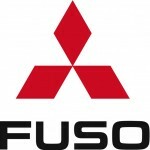 Dublin Tunnel has dealerships with two major truck makers, Isuzu and FUSO. Follow the links below to read more about these superb range of vehicles. Read more about the Isuzu D-Max and N Series ranges. Read more about the Canter range of trucks.